RAD Torque Systems is pleased to introduce the latest electronic torque wrench to its line of already diverse products. With torque ranges up to 2.000 Nm, the all new E-RAD BLU 2000 offers one of the highest power-to-weight ratios of any torque wrench on the market today. 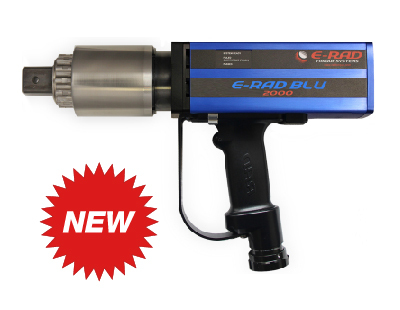 With an accuracy of +/-2.8% and calibrated with full ISO 17025 accreditation, the E-RAD BLU 2000 is the world’s most accurate, ergonomic, and reliable tool.